The New England area is full of stunning attractions, each with its own fascinating story. History lives here within its beautifully preserved architecture and antique treasures. 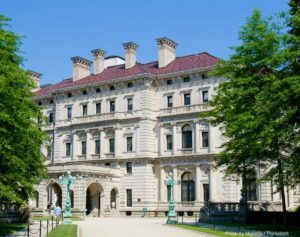 See Rhode Island’s history at its finest by exploring the many Newport RI Mansions during your next trip to this wonderful destination. These nine magnificent homes, maintained by the Preservation Society of Newport County, contain elegant furnishings, exquisite artifacts, intriguing exhibits, and pristine grounds. Discover what each one has to offer and start planning your trip to see this unique attraction! Read a summary of each of these treasured homes to get a glimpse of what your visit will include! Audio tours are available for each one; these guided narratives delve into the lives of the mansions’ residents to give you a taste of what this time period was really like. -Marble House: A summer house built for the Vanderbilts in the late 1800s, the Marble House is worth almost $11 million today due to its abundance of costly marble. -Rosecliff: This mansion, completed in 1902 for the heiress Theresa Oelrichs, has been the site of several films, including The Great Gatsby and 27 Dresses! 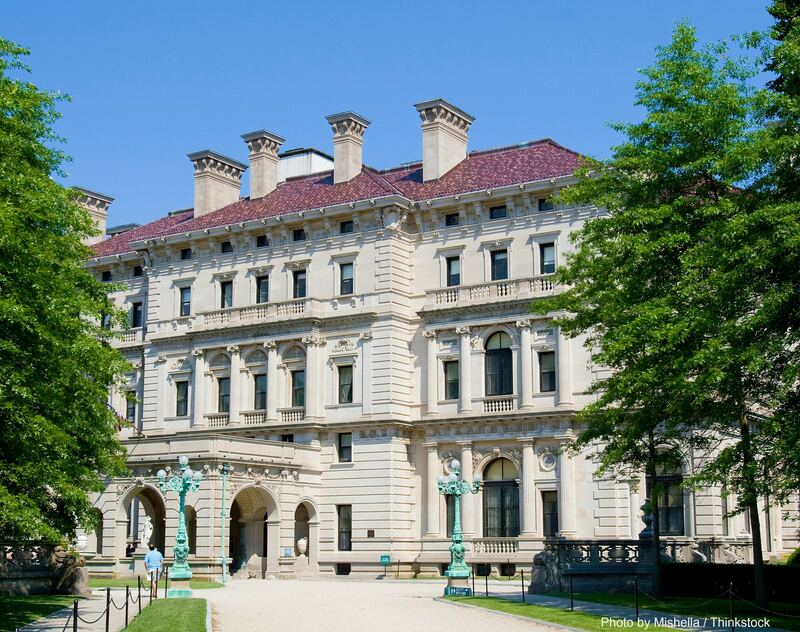 -The Breakers: Created for Cornelius Vanderbilt II in the late 1800s, this Italian-Renaissance styled summer home is full of antiques and sculptures from all over the world. The Breakers of Newport, RI, also possesses an adjacent stable and carriage house, which you can also tour. -The Elms: Built in 1901, the construction of this home cost nearly $1.4 million dollars! Its decor, influenced by the romantic city of Paris, consists of many original paintings from France. -Kingscote: This early 1800s summer cottage stands apart from the rest with its rare Gothic Revival style of architecture and combination of eastern and western motifs. -Isaac Bell House: One of the best illustrations of shingle style architecture in the country, the Isaac Bell House, built in 1833, shows a mixture of Old English and European architecture. -Chepstow: View original 19th century American paintings in this quaint cottage built in 1860. -Hunter House: A wonderful example of Georgian Colonial architecture, this home’s construction began in the mid-1700s and displays authentic samples of arts and crafts during the American Revolution. -Chateau-sur-Mer: This sample of High Victorian architecture was built in 1852 for George Peabody Whitmore, Governor of Rhode Island and United States Senator. Also on the grounds of these mansions is the unbelievable Green Animals Topiary Garden! Over 80 pieces of topiaries can be found here, featuring birds, animals, geometric designs, and ornate designs. Some of the best special events in the area are held at the Newport RI Mansions! A few of the most popular happenings here include the Newport Flower Show, the Wine and Food Festival, and Christmas at the Newport Mansions. Keep checking their calendar for other exciting events! If you want to host your own event here, Newport RI Mansions weddings and other parties can be arranged. 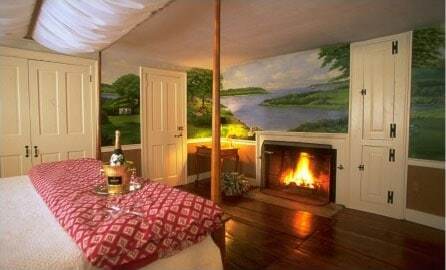 Settle down in the finest bed and breakfast after your delightful day of adventuring through the New England area! 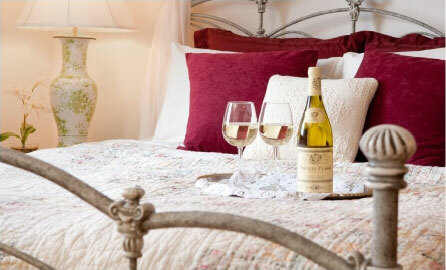 Stonecroft Country Inn will provide you with everything you need to relax and refresh; we possess the most luxurious accommodations within a peaceful and serene environment. We also offer amazing specials and packages so you can visit local attractions, such as the Newport RI Mansions. Check our availability and start planning your dream vacation today! For more things to do in the Connecticut area, download our free Vacation Guide! 5 Reasons Why the Mark Twain House is So Unique — Why is the Denison Pequotsepos Nature Center so Amazing?